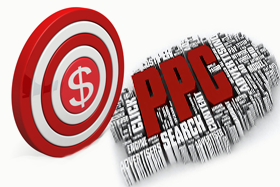 Pay per click also known as PPC advertising is a great way to boost your online business immediately. I would still strongly suggest that you run a search engine optimization campaign however. A search engine optimization campaign will allow you to overtime rank for keywords so that you will not have to pay every time somebody clicks on your page. That being said a pay per click campaign is vital to your online marketing strategy in multiple ways. One it will allow you to check the conversion rates of certain keywords so that you will know if that particular keyword is worth ranking for in your search engine optimization or SEO campaign. PPC will allow you to gain instant traffic to your website. However, many small online businesses think that this is easy. They think you just pay per click and your campaign will automatically send you traffic that will convert. This cannot be further from the truth. Pay Per Click campaigns take planning and optimization. Since you are paying every time somebody clicks on your link you will want to make sure that as many of those clicks convert as possible. So how do you make sure that this is happening? Well there is a 5 step process that will help your Pay Per Click campaign become successful. Proper Landing Pages – Do not setup your PPC campaign so that when somebody clicks on your ad they go to your main website home page. This is taking them to a generic page about your business. You want them going to a page that is designed specifically for the keyword that they clicked on. For example, HireAWiz is a Phoenix web design company that offers many web services. If we setup a campaign for the keyword Phoenix SEO company and sent them to the HireAWiz homepage this would be a mistake. The reason that this would be a mistake is because the visitor that clicked on your ad will then have to search your site in order to find information about SEO. So instead you want to create a web page that is specifically designed to convert visitors coming looking for SEO services. Landing pages are an extremely important part of any Pay Per Click campaign so make sure you talk to your local web design company about first designing a landing page for each of your products and or services that you are planning on targeting. Do Not Participate in Contextual Advertising – What I mean here is do not place ads on other sites. The reason I say this is because people that click from other sites are generally just curious and not actively searching for your product and or services. Whereas visitors that find your ad while searching for a particular keyword on a search engine are most likely looking for it and are more likely to convert into a sale. Offer Free Resources – When a visitor comes to your landing page you do not want to bombard them with a sales pitch. Instead offer them some free information about the product or service that you are offering. This will help to build a relationship with the potential customer all while convincing them that they need this service and or product. If you decide to go the sales pitch route you may sale some people but for the most part visitors will leave you landing page leaving you paying for clicks that are not converting. Signup – Whatever it is that you are offering for free make sure that the visitor has to signup in order to receive it. This will allow you to keep in contact with your visitors. Whether or not they actually convert into a sale you will build a contact list for future marketing campaigns. It is very important to at minimum collect contact information from as many visitors as you possibly can. Newsletter and Blog Updates – When offering your free gift you also want to explain to them that you are adding the visitor your monthly newsletter or your blog updates. You may be thinking that they are going to think that this is spam and not signup however, you need to make this as enticing as you can. You are offering them relevant content that they are interested in. This should be something that visitors to your website want. Then even if they do not sign up immediately for your product and or services you will be in constant contact with them so that when they do decide to purchase they will think of you. These are 5 steps that are not guaranteed to make successful but will definitely help with your overall success. It is very easy to have a Pay Per Click campaign that gives you a negative return on investment that is why you must be very careful not to just go jump into it thinking that anybody can do it. I would strongly suggest you talk to a PPC professional so that they can walk you through what you need in order to be successful. Pay Per Click can give you an instant return on investment and really begin growing your business. However, you need to make sure that you know what you are doing and do things right.